Lumikko L4BHS is a new, technologically advanced truck solution centred around the BITZER hybrid compressor. With the hybrid compressor, a separate electric motor is not needed, resulting in a cost-efficient, lightweight diesel-powered truck solution with the smallest external dimensions on the market and equipped with an integrated evaporator. The integrated evaporator enable versatile uses for maximum transportation capacity. The L4BHS is particularly designed for small and medium- size trucks. By combining the compressor and electric motor, we have accomplished a lightweight and small hybrid innovation product. Optimised parts and components together with the modular structure to reduce the cost of maintenance and improve the reliability of the product. The unit’s purchase price and cost of operation are low compared to others in this power category. With 40% lower weight, the unit reduces the fuel consumption of the truck, releasing cargo-carrying capacity for transportation use. 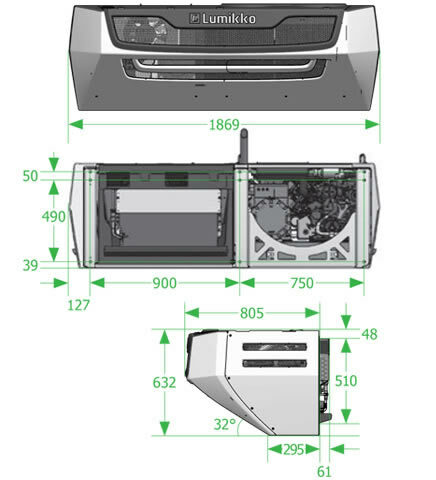 The integrated evaporator enables versatile use of the cargo compartment and maximum transportation capacity. 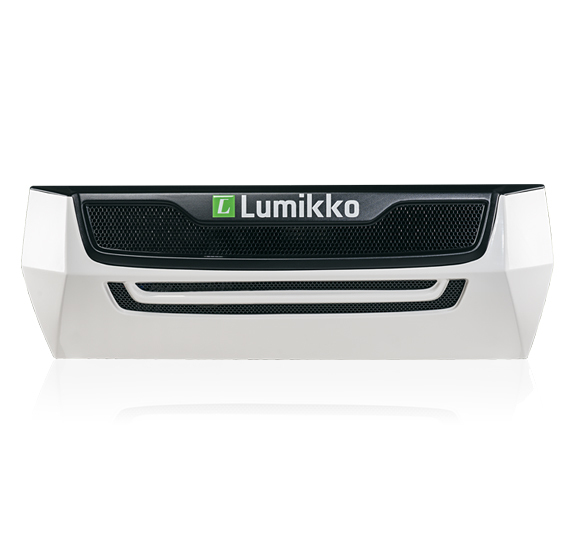 The new design emphasises the dynamic, agile and innovative nature of Lumikko. Thanks to the design, the device can be installed better also in trucks with a high cab.